Catnip, the mint that intoxicates cats, also exerts an attraction for scientists. Thankfully, catnip doesn’t cause scientists to roll on the ground or otherwise make a spectacle of themselves. Instead, it inspires scientists to study just how the plant produces the chemical that gives cats a mild but conspicuous high. The chemical that triggers feline ecstasy is a terpene called nepetalactone. This simple, small molecule is part of an unusual chain of events, one not previously seen by chemists, but recently uncovered by researchers at the John Innes Centre. According to these researchers, the nepetalactone biosynthetic pathway they discovered could help them recreate the way that plants synthesize useful chemicals such as vinblastine, which is used for chemotherapy. The researchers, who were led by Sarah O’Connor, Ph.D., hope that their work will contribute to medicinal chemistry by helping us create useful chemicals more efficiently and quickly than we are currently able to harvest them from nature. Details of the catnip study appeared December 10 in the journal Nature Chemical Biology, in an article titled, “Uncoupled activation and cyclization in catmint reductive terpenoid biosynthesis.” The article describes the process by which catmint produces nepetalactone in microscopic glands on the underside of its leaves. The article also identifies three new enzymes that show unusual activities. 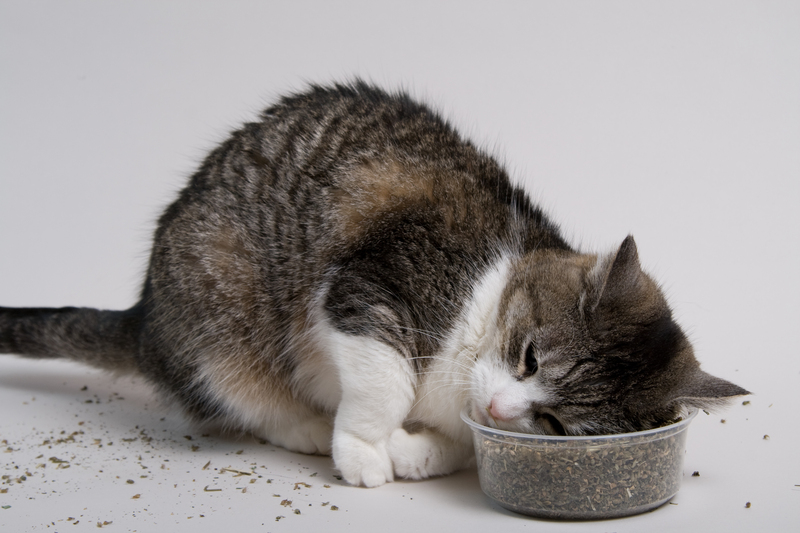 The scientists also explained that in catnip, terpenes are formed in a two-step process. Specifically, an enzyme activates a precursor compound which is then grabbed by a second enzyme to produce the substance of interest. Usually in plants, for example, peppermint, terpenes are formed by a single enzyme. The two-step process described by the John Innes Centre scientists had not been observed previously. Something similar to this process may also occur, the researchers suggested, in the synthesis of the anticancer drugs vincristine and vinblastine from Madagascan periwinkle, Catharanthus roseus, and elsewhere in olive and snapdragon.